Personal Training and Fitness Programs for Every Body. Get in. Get fit. Enjoy Life! 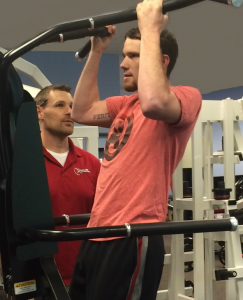 Muscles in Motion offers customized, personal training services in Lake Oswego, Oregon. Our highly-trained, certified personal trainers work individually with clients to help them maximize results using the scientifically-based “Muscles in Motion Method.” It offers the perfect solution for today’s busy lifestyle with its revolutionary 30-minute Total Body Workout designed to maximize results! Safe and Effective for Everybody. At the Muscles In Motion gym, located in beautiful Lake Oswego, we specialize in low-impact strength training that is safe and effective for all ages and fitness levels. Our clients include busy professionals, parents, grandparents, kids, rehabilitating athletes, weekend warriors and everyone in between. 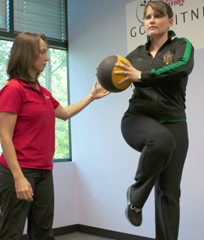 Muscles in Motion, Inc. first opened in Lake Oswego in 2007 and quickly developed an avid following as the region’s only Personal Training company offering the revolutionary, science-based, Muscles in Motion Method. Our studio features the most up-to-date training equipment, including Nautilus and MedX brands, cardio machines and free weights. Personal Training Designed to Meet your Fitness Goals. All new clients undergo an in-depth fitness assessment so we can better understand your current fitness level, develop a baseline and create a customized program to meet your needs and goals. This includes a comprehensive health questionnaire so we can get to know you, your health concerns, fitness challenges and most importantly, what you want to achieve! Your personal trainer will review this with you during an initial orientation session before you even step foot into the training studio. Your Muscles in Motion personal trainer will ensure you experience a safe, time-efficient 30-minute workout that achieves maximum results. He or she will supervise your form, adjust your routine as necessary to keep you progressing, and cheer you on. We know you’re busy and have lots of choices for your fitness needs. 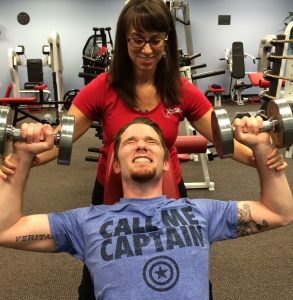 When you train with Muscles in Motion, you can be confident that our safe, efficient and effective personal training program will help you get the most out of just two or three 30-minute sessions a week! Train smarter with Muscles in Motion.